Welcome to Long Stems official blog. We've started this blog with the mission to keep you up to date with what's going on here at Long Stems as well as giving you some great tips on plant care, floral designs, and some interesting flower facts! 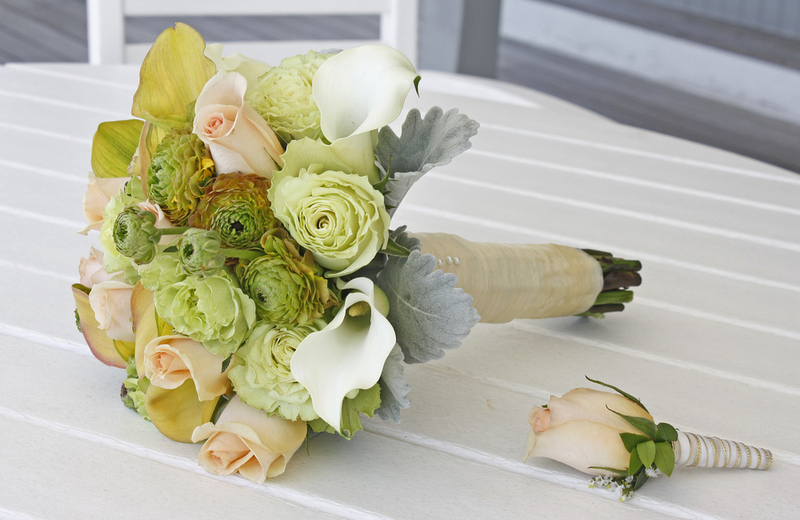 Last Sunday, Long Stems was invited to be the featured florist at the Brand Beach Yacht Club as a part of the Long Beach Island Wedding Road Show. The Road Show is a self-guided tour for future brides through several of Long Beach Island's most popular high end indoor and outdoor venues. In addition to viewing the locations, vendors such as caterers, photographers, and florists are also featured at each stop. We were thrilled to be a part of the event! 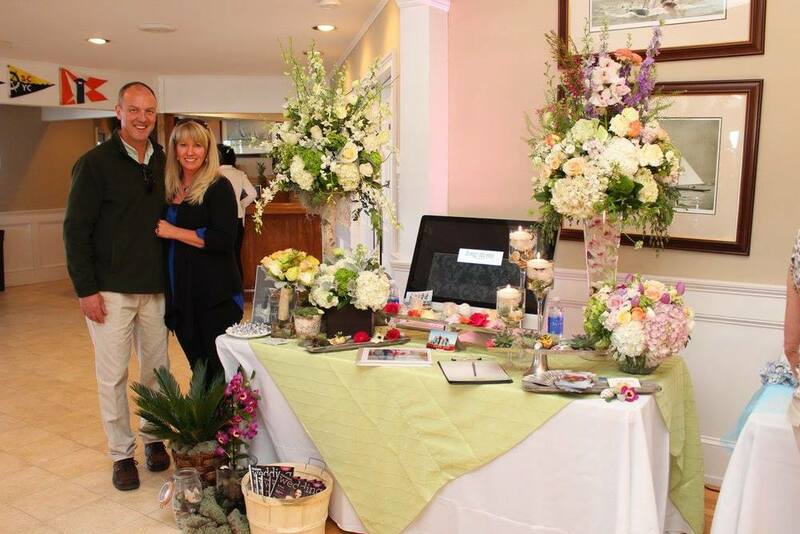 Owner Keith and his wife Anne met with brides and other vendors to mingle and show off some of our floral handiwork. 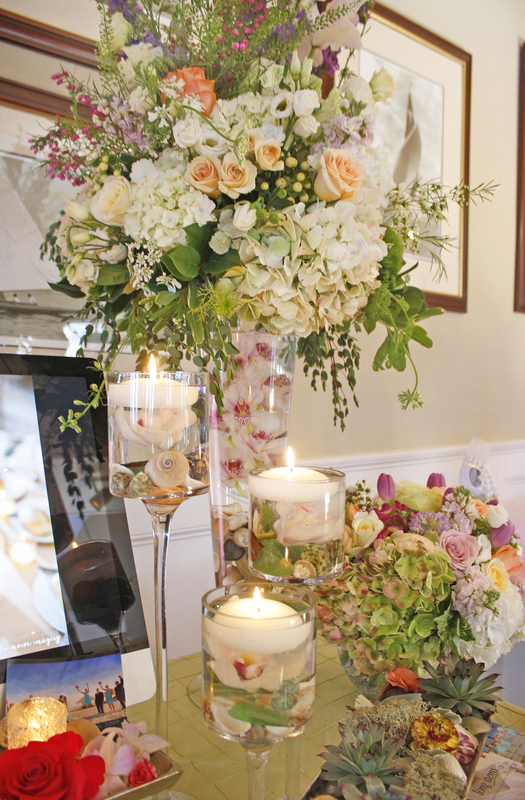 Our table featured examples of high and low centerpieces, bridal bouquets, boutonnieres, and a beachy display of floating candles with submerged sea shells. One of the lovely ladies at the Yacht Club was kind enough to snap a photo of Keith and Anne with our table, and Keith took a few photos with our camera, too. Thanks to everyone we met, and best wishes to all of the future blushing brides!